“It has never been a more important time to be working in sustainable food”, Kuli Kuli CEO Lisa Curtis said during her speech at the 2019 Winter Fancy Food Show in San Francisco, CA. 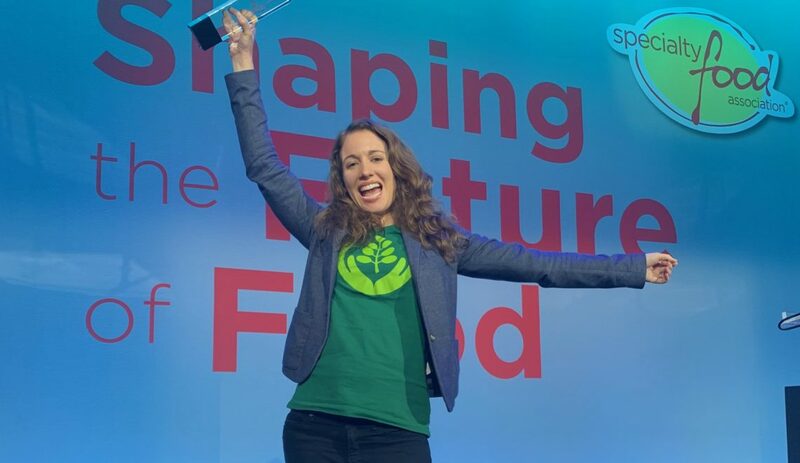 She was honored with this year’s award for Citizenship, recognizing the work Kuli Kuli Foods has accomplished in connecting smallholder farmers across developing nations to an American market hungry for superfoods. In Lisa’s powerful speech at the award ceremony, she discussed her journey with moringa, the leafy green that changed her life. 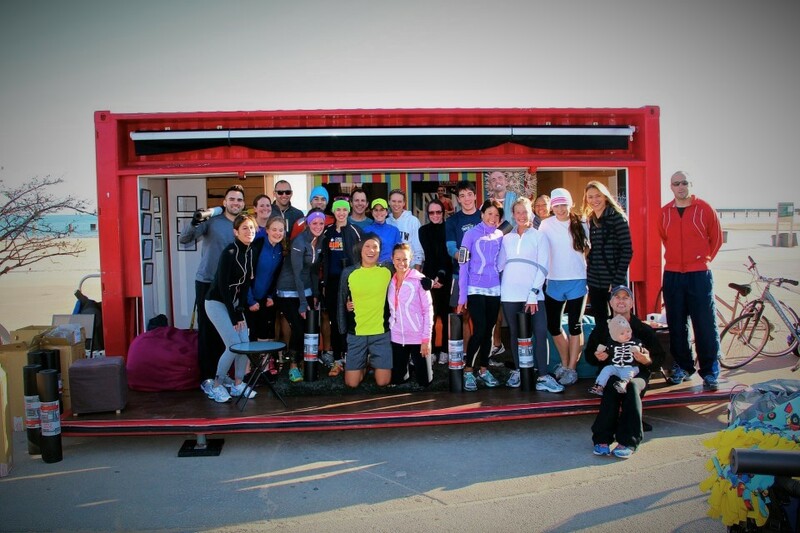 It all started ten years ago as she sat in her hut in a rural African village. She wondered how she could possibly fix a system that left her Nigerien friends battling with malnutrition, while her American friends were texting about diet fads to help them lose weight. 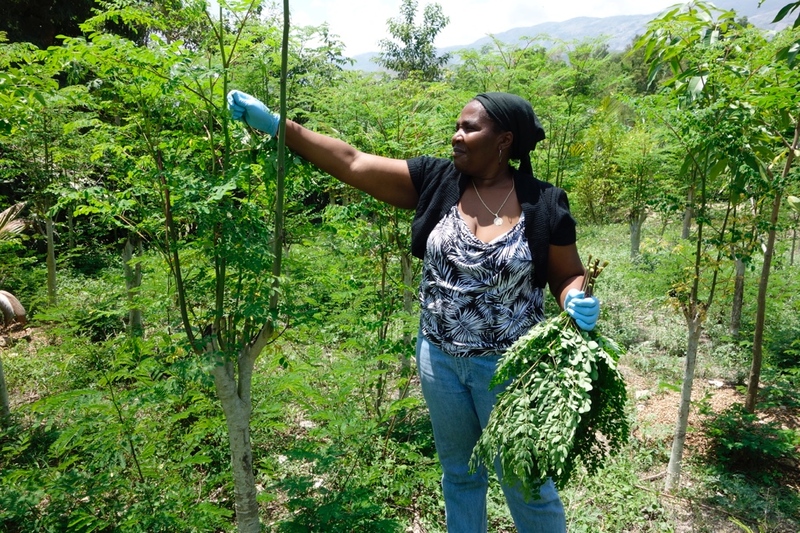 At the time, she wasn’t sure what the answer was but had a feeling moringa, a superfood healthier than kale that was growing like a weed around her village, could play an important role. With this sentiment, she created Kuli Kuli Foods, a multi-million dollar social enterprise that reaches 1,300 moringa farmers across 11 countries and sells nutritious snacks and supplements in over 7,000 stores across the nation. Lisa credits part of her success to the Fancy Food Show, where she debuted Kuli Kuli’s first line of moringa products five years ago. The Specialty Food Association marque event provided forward momentum towards her goal of curbing malnutrition across the globe. Fast forward five years to today where Lisa was honored with the Leadership Award for Citizenship. Along with the citizenship award, Specialty Food recognized Miyoko Schinner for her business leadership at her company, Miyoko’s and Patrick Mateer for his vision at Seal the Seasons. 2019 Winter Fancy Food Show – Spotlighting Moringa and other Biodiverse Crops! 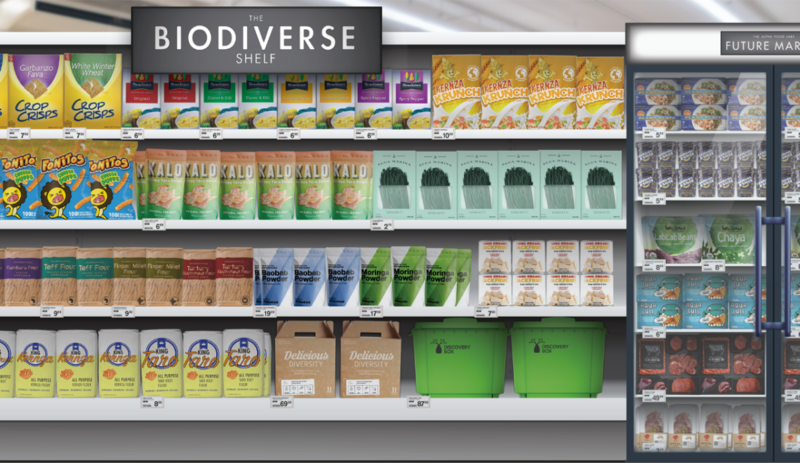 Display of the Future Market’s predictions for items that could change the market and the planet’s natural biodiversity. Photo from medium.com. Kuli Kuli also had the distinction of exhibiting in the Future Market Biodiversity exhibit. The exhibit was creatively designed through a partnership between Seeds and Chips and Food Tech Connect, two incredible organizations determined to bring more biodiversity into the world by reinventing how we look at food. Along with moringa, there was a presence of other popular African ingredients like jackfruit from The Jackfruit Company, fonio from Yolélé and baobab powder from Kaibae. We are grateful to work alongside inspiring companies like Soul Much and Renewal Mill who upcycle food waste into delicious cookies.The room was packed with an amazing energy as innovators came together to share their mutual passion for creating a better and more bio-diverse world. According to CNBC, less than half of millennials believe in capitalism as it is currently practiced. The lack of faith in business is a scary concept, since businesses are arguably the most powerful institutions on earth – more powerful than government or religion. That said, we are living in a time where global leaders are stepping up to the plate with solution-based ideas to innovate our way out of the problems our planet is facing. Together, with businesses such as the ones present at the Future Market Biodiversity exhibit, Kuli Kuli is honored to be part of the movement towards a world of moral driven business. WOW, thanks you for sharing this event. Kuli Kuli bars are delicious.